Swiss Valle-de-Joux-based David Candaux is a part of a multi-generation family of watchmakers. 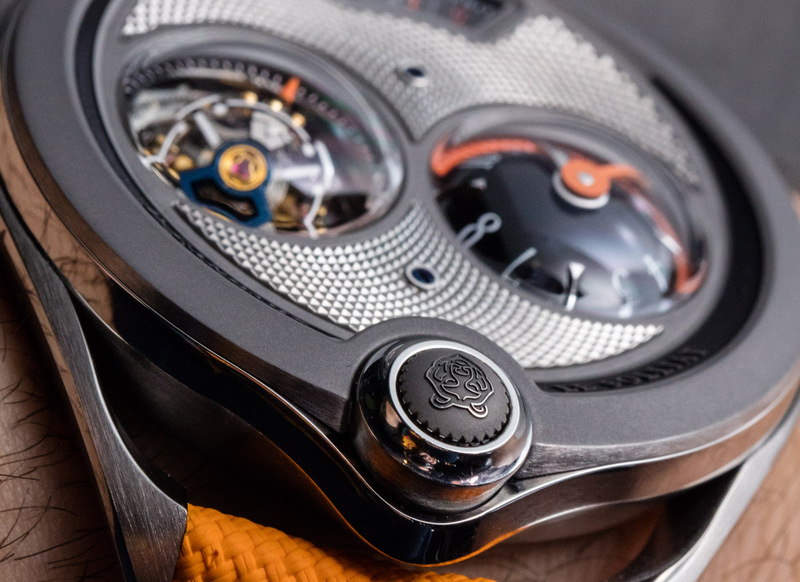 He lives adjacent to master watchmaker and metal decorator Philippe Dufour, and his work has been prominently featured in ultra-luxury timepieces from brands such as Jaeger-LeCoultre, MB&F (the HM6 movement), Fonderie 47, Montandon, and more. Several years ago, he — like so many of his contemporaries — set up shop under his own “D. Candaux” name and released his DC 1 watch. So far each of his timepieces has been made in limited editions of just eight pieces. After the DC 1 model, he continued with the celebrated D. Candaux DC6 Half Hunter that aBlogtoWatch went hands-on with here. For 2019, David Candaux released a new version of the DC 6 Half Hunter as the DC 6 Solstice Titanium Half Hunter 1740 (“DC 6 Solstice,” for short) which is a bit more playful and modern, sporting bright colors and available as a limited edition of eight pieces (each) with red, blue, or orange (as pictured) accents. David Candaux and his team cordially invited aBlogtoWatch to view the DC 6 Solstice Half Hunter 1740 watch at Baselworld 2019, where Mr. Candaux was accompanied by colleagues at the AHCI booth. There, the best and most accomplished independent watchmakers show off their latest creations. Having attended the show for years, I still find it interesting that only very high-level collectors and enthusiast-writers, such as myself, have the guts to go up to such esteemed craftspeople and discuss their new timepieces. 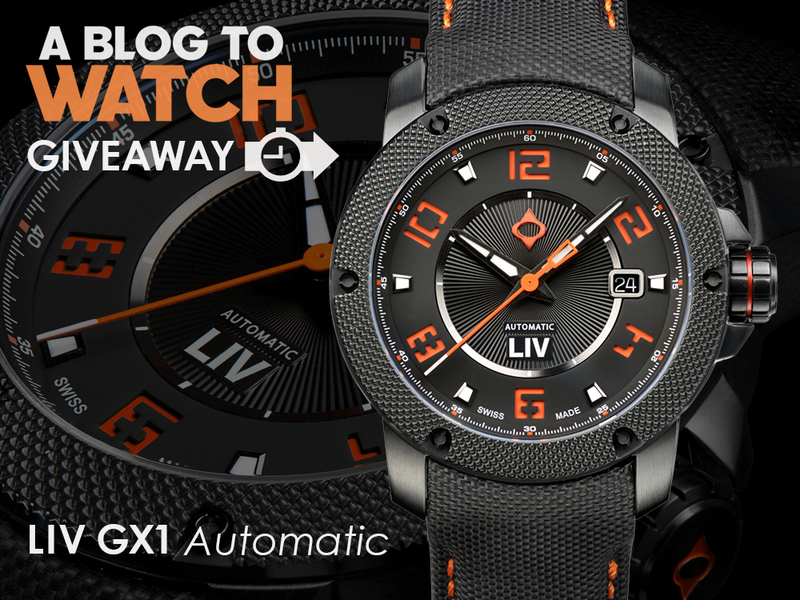 What I’ve come to learn is that watch-lovers simply feel intimidated by these products and their creators. It isn’t the $100,000-plus price of most of these watches that deters potential new fans — rather, it’s the sheer complexity of imagining such watches, producing them, and also appreciating them in the context of the current state of horological art (essentially, the competitive market) — a challenge for those who don’t live and breathe this passion. While no fault of the watchmakers, such as David Candaux, who are typically eager and friendly, people who don’t know how to appreciate the inherent value in such watches like the DC 6 are simply afraid to say something that might make them look silly. Even I have moments like that, so I encourage more people to approach such exotic mechanical watches because they delight in a way that only very special independent watches can. David Candaux chose titanium as the metal for the DC 6 Solstice Half Hunter case, as well as for most of the movement. 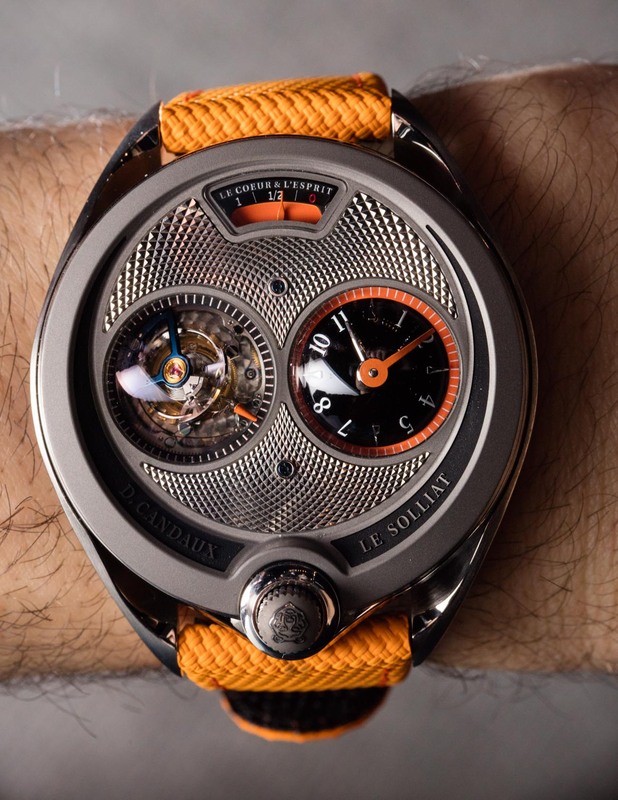 This latter decision is incredibly uncommon, and the result is a uniquely lightweight watch, as well as one that has a form of finishing not commonly seen in a watch like this. 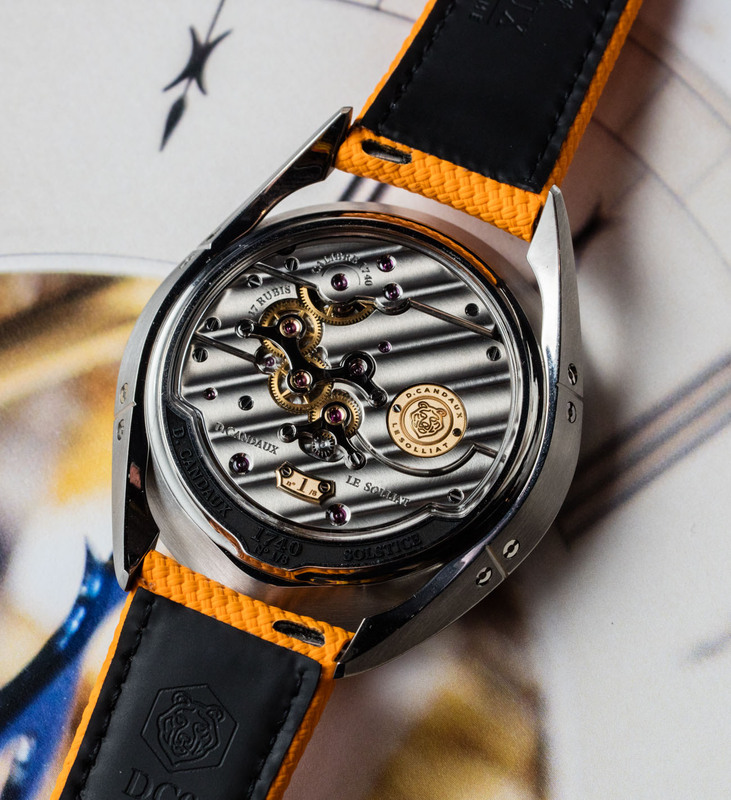 Titanium is a challenging metal to polish, which makes the gorgeous “Cotes du Solliat” striping on the movement-bridge surfaces that much more impressive. Turn the DC 6 Half Hunter over, and the view of the exposed hand-made movement is stunning. In Candaux’s own words, the DC 6 Solstice Half Hunter is about merging the world of old and new together. He combines traditional watchmaking principles and decorative techniques with a contemporary design unlike what you might see in historic timepieces. One of the most interesting design elements was the decision to expose the machine-engraved guilloché work on the dial-side of the watch. More than one person has mistakenly believed this engraving is hidden under glass, but it is open to your touch, which is uncommon. I’ve not actually personally seen this type of work on titanium before, and the result is impressive. What should also be impressive to would-be fans of this watch is that, for the most part, guilloche machines are no longer produced. So, before being able to master guilloché engraving, one has to first acquire one of the antique machines to perform it. Visually, the DC 6 Solstice Half Hunter looks like a science-fiction face staring at you. Or a gas mask, or a fly, or a mosquito, depending on your perspective. The two opposing dials look like eyes capped with highly domed pieces of sapphire crystal. The “mouth” of the face is actually the crown, which is among the unique elements of the DC collection watches and one that Candaux refers to as the “magic crown.” Rather than have a fixed crown on the side of the case, as we find in most other watches, the DC 1 and DC 6 collection watches have a crown that is released when you press it down. One the crown is released from its “internal position,” it can then be pulled out as normal to set the time. The only other timepiece I am familiar with that has a similar crown concept is the Chanel J12 Retrograde Mysterieuse Tourbillon. The DC 6 crown system itself is comprised of 31 parts and uses a complex series of three gaskets to maintain the timepiece’s water resistance. The 43mm-wide DC 6 Solstice Half Hunter case is 12.6mm-thick and water resistant to 30 meters. 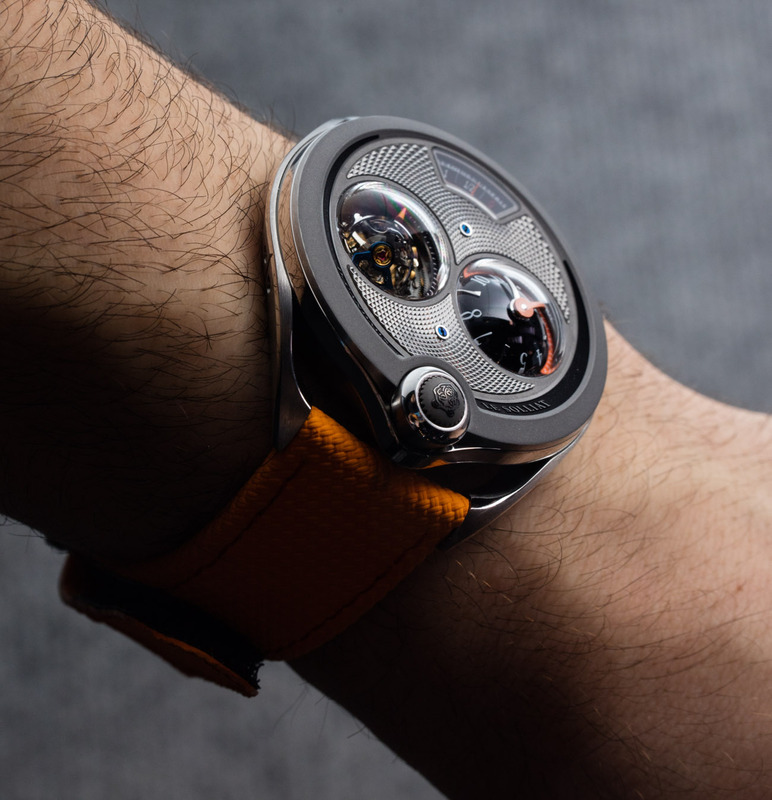 On the wrist, it is extremely comfortable and each angle has been clearly “over-engineered” by David Candaux. My favorite design element on the case is the side of which is also (of course) hand-polished and has a “plate with rivets” design, which I’ve admired since Jorg Hysek did something similar for Tiffany & Co. in the 1990s, with the Streamerica watch collection. Mr. Candaux has investors in his company, allowing the talented watchmaker to pursue his passion for his craft. When watchmakers spend too much time away from the bench, bad things can happen — and they also don’t get work done. That said, I have sympathy for anyone who funds a mind like Mr. Candaux. He isn’t interested in extracting high profit margins from his products; rather, he is interested in investing a maximum level of effort and design into each and every timepiece. The battle between business and passion, when it comes to high-end independent watchmaking, is a common issue and, when it doesn’t end in tragedy (which it has in the past), it amuses me as parties struggle to agree on what watches should cost, how long customers should wait, and the level of detail and effort “required” for each product to be “ready to ship to the consumer.” More often than not, collectors tend to win when watchmaker’s demands are met. The more David Candaux’s work is celebrated by customers, the more leeway pursestring-holders will give him when it comes to investing in future creations. As it is, Mr. Candaux can reportedly only produce a dozen or so watches per year, as these are primarily made and decorated by hand via a very small team. Can we have a Candaux-Chaykin collab? Any videos of the crown becoming, for want of a better word, erect? Well, I’m not sure about the strap offerings – but, alas, I am sure I can’t afford one. Fantastic watch, but to me the story about this watch is what the article hinted at — the tensions between craft and commerce and the gods — the global economic forces beyond anyone’s control. Hi Ariel, the photos are too dark for my taste! I mean product photography should be done through wider aperture, longer shutter times, and perhaps better non reflective lighting. What is the gauge at the top? Translating to “the mind and the heart” I think it’s pretty clearly the power reserve indication. Yep, if it looks like a gas (petrol) gauge – on a watch it’s no doubt a power reserve indicator. Sorry, I don’t like it at all. Looks like a parking meter. Now I’m not going to unsee that. A good friend of Chaykin? Very cool and all and I offer the following knowing that your don’t go mountaineering with a quarter mega-buck watch… but is exposed guilocche titanium a very durable choice given how easily most titanium scratches? It would be crime to scratch up this work of art after all. Does the setting mechanism take 37 parts or 37 more parts than a conventional watch? I ask because the crown wheel which turns the torque 90 degrees would not be needed in the layout in this DC watch. So it could in theory have fewer parts than the usual keyless works. If you want to try on a $200k watch even though you know you’ll never buy it, but dont, you’re in the wrong. Never once ever at any retailer, in any country, for any brand have I ever been even hesitated at when i ask to try a watch on, and I can think of at least 3 that were 200k+ (sticker). Once I tried on a Lange1 and they insisted I try on a platinum turbograph, and I hadn’t even mentioned it. I have no shame in asking to play with watches I can’t afford. People who can afford them have no interest in them unless nerds like us approve them first. If you are a super rich, super watch nerd then you are both rare and lucky. I think it just depends on the retailer, or even the salesperson to be honest. Sometimes usually when the salesperson knows a lot less than the average ABTW commentator it is hard to get them to let you look at a mid range JLC. 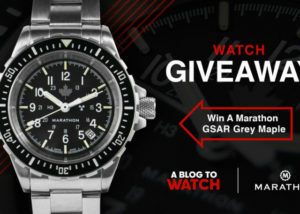 They are usually the ones IMO, who are doing it for the job, and are not that into watches. Others let you look and play with watches like Greubel Forsey’s and are happy to talk watches.